Great service. I booked as I am a single parent travelling with a young child so I didn’t want the hassle of getting the bus. They were waiting for me once I collected my bags and they also had the car seat as requested. Great journey there and back. They were waiting on time to collect me to return to the airport and the lady driver was lovely. Highly recommend this company and will use them again for my next trip. Perfect Service – well done. 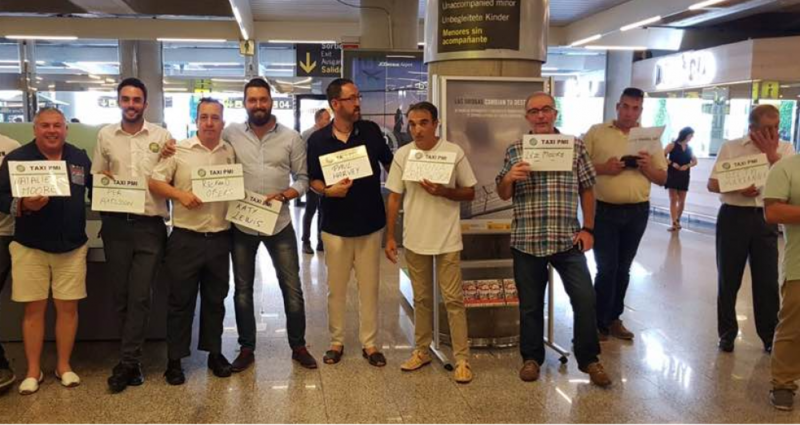 I arrived late into Palma airport on a recent Friday evening and not wishing the bother of hiring a car for a short stay, arranged the services of Taxi PMI. It was a first class service – the driver was waiting for me at arrivals with name clearly on card, promptly took me to a lovely car and drove the 45 minutes to Calla D’or in a safe and reassuring manner. Likewise, my collection some days later was just as easy – arrived promptly on time as per the online booking (which was a very easy process) and brought me back to the airport, again in a safe and professional manner. Good job – value for money and would definitely use them again. Chauffeur stond met naambordje op ons te wachten. Oudere meneer maar prima service. Taxi geboekt via website en achteraf betaald met cash. Prima service. Excellent service. Everything was as booked online including the car seat ordered for our toddler. The drivers were very accommodating, the taxis were clean and we had no issues in confirming and changing our bookings with the office. Will definitely use this service again. Very reliable,helpfull friendly staff.will use again and also recommend to all of my family and friends. The drivers were waiting both at the airport and at the hotel on departure early. What more can you ask for! The company are also very quick to respond via email should you have any problems or questions. Excellent service. Online booking was efficient with immediate feed-back from the firm. Easy to find driver at the airport, perfectly on time, friendly and professional service. Booked & payed on line, simple. Arrived and driver was waiting for our group (no messing about). Mini bus was spotless and the drive to Cala D,or was quick and smooth. On return guy was about 10/15 mins early, which suited our group, as we were all ready. Excellent all round service and would highly recommend this transfer/taxi company. We booked a return trip with Taxi PMI and they were fantastic. We booked online and were greeted at the airport by a friendly driver. Our journey was around 35 minutes in a lovely air conditioned car. The return trip was equally as easy and comfortable and the driver was lovely. We had to reconfirm our return journey and this was simply done by email and confirmation was very quick. Wurde von zu Hause online gebucht und alles klappte wie es sein muss. Keinerlei Zeitverlust durch Wartezeiten, da der Fahrer bereits in der Flughafenhalle auf uns wartete. Rücktransfer vom Hotel war sehr pünktlich und verlief ebenfalls reibungslos.